10oz per linear yard, 59" wide. Suitable for light fashions and upholstery. 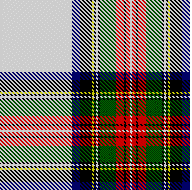 on the Tartan Fabric Selections page which will open a secure shopping cart.